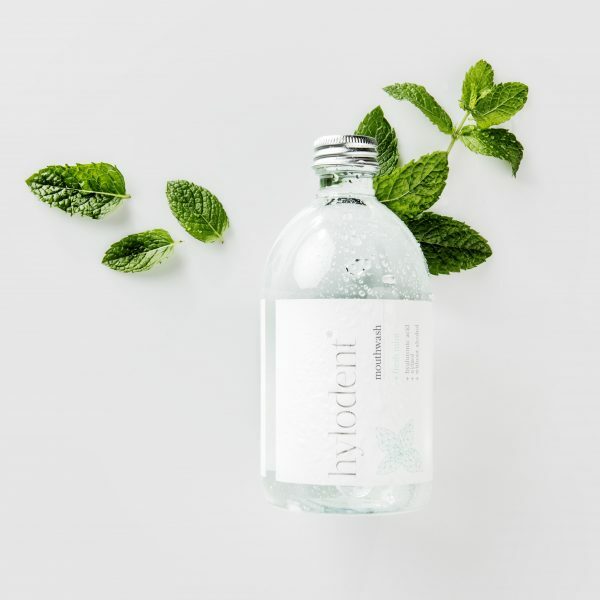 Hylodent mouthwash with a lingering pleasant taste, supports healthy mouth flora and is the perfect addition to your oral care routine. 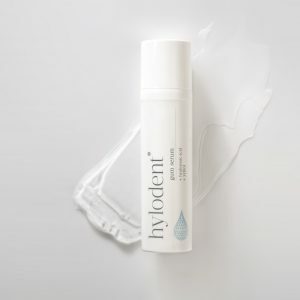 Hylodent mouthwash has an anti bacterial complex containing hyaluronic acid and xylitol to prevent plaque and decay and soothes irritated gums. Mouthwash reaches where your toothbrush can’t, cleaning and lubricating your whole mouth. Great for those who suffer from dry mouth, sore gums or bad breath. Very useful for minimising morning breath. 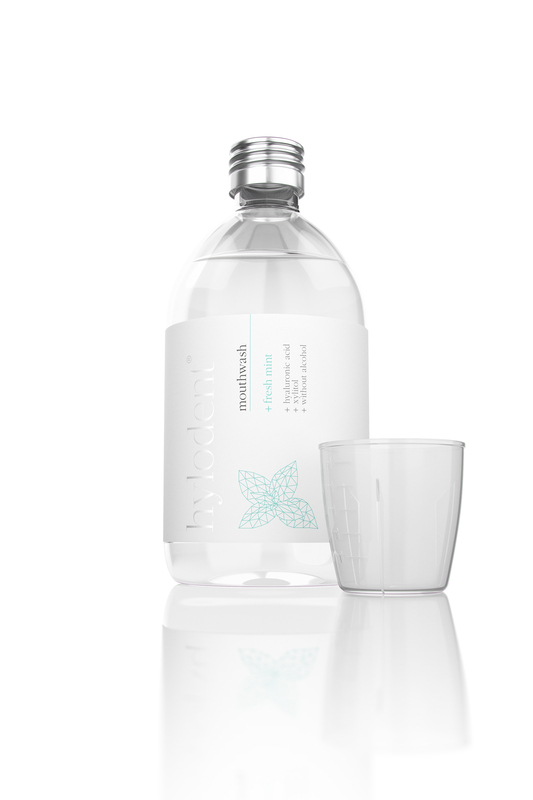 Hylodent Mouthwash is the perfect supplement to the organic dental care and oral hygiene with Hylodent toothpaste. Its special caring complex with hyaluronic acid and xylitol supports a healthy oral flora and helps to prevent dental plaque and caries – without harsh chemicals. 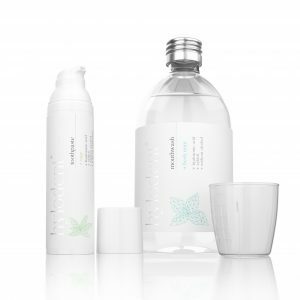 Hyaluronic acid soothes irritated gums in a natural way and has an anti-inflammatory effect. In addition, it is absorbed by the gums, moisturizes them and stimulates its regenerative powers. So it gives your gums a firm and younger appearance. Because Hylodent mouthwash does not contain alcohol, it is suitable for children. Furthermore, alcohol has a drying effect on mucous membranes. The mouthwash leaves a smooth, fresh taste of mint in the mouth.